In recent years numerous hot, new digital musicians, hip-hop artists, and DJs are emerging from across Africa, making a mark on the global music scene. They blend hip-hop, house, reggae and rock with various local musical traditions from around Africa, while addressing prescient issues in Africa. Find out why some of the most creative digital music in the world is coming out of Africa and how African artists are working with new media. Rab Bakari is an indispensable linchpin in the entertainment business. He has decades of hands-on experience as an authentic New York Hip Hop creator and a music corporate person. Rab Bakari has taken his experience as a DJ/Music Producer; Break Dancer; Graffiti Artist and Tech Geek in the heyday of New York’s 1980s/90s Hip Hop boom, around the world, mentoring and producing young, cutting edge Hip Hop artists in unusual places. Unafraid to push Hip Hop past the borders of the USA; Bakari has been a driving force in creating the sound that is African Hip Hop today. He is one of the architects of Ghana Hip Life and a participant of Hip Hop in in many countries on the African continent. He is now expanding into other areas of entertainment such as television production; music publishing; animation; mobile apps; video editing/production; strategies for digital workflows; social network marketing and webcasts. He is based in New York and does frequent business in West Africa with Accra, Ghana as his base. Besides working for Universal Music Group over ten years, He has an entrepreneurial start-up called MixerPot. Come visit me at 1755 Broadway on the fourth floor. 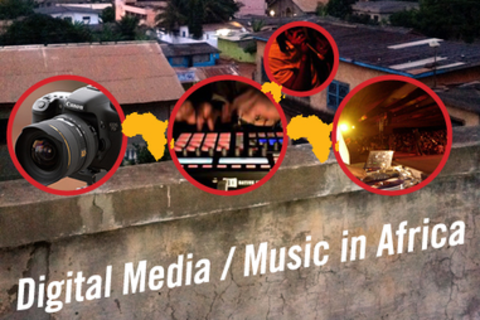 help develop musicians, songwriters, directors, screenwriters and audio/video production types ranging from the independent to the well established coming from the continent of Africa and within the Diaspora. MixerPot essentially is a management, promotion, marketing, production & booking company based in North America with various arrangements for an array artists. Clients: Reggie Rockstone; FOKN BOIS; M3nsa, WanLov, Koku Gonza, Gibril Da African, M.Anifest; E.L.; DJ Kofi; Kobi Onyame; Sway; Tawiah; Efya, Daz Dua, Blitz The Ambassador. We welcome all to work with MixerPot LLC in various capacities to promote and elevate artists to a level of visibility that will help them reach more effectively audiences and markets in North America as welll as globally. Contact MixerPot today to learn more about how we work to stragetically enhance artist visibility and help manage artist development. Please note that most these artists revolve around the African country called Ghana. Many of them tour constantly. We are always open for shows; festivals anywhere. Timing is the key though. Many do not reside in the USA. Please take about 30 minutes to watch their vids; read their paragraphs; listen to their audio and follow them on Twitter. Be sure to share any links of these artists on to your business connections as soon as possible. Jesse Shipley is a filmmaker, writer, and ethnographer who has worked in New York, London, Accra, and Johannesburg. He is the author of LIVING THE HIPLIFE: Celebrity and Entrepreneurship in Ghanaian Popular Music (Duke University Press 2013). Along with a number of shorts and music videos his recent films include feature documentaries Living the Hiplife: Musical Life in the Streets of Accra (Third World Newsreel 2007) and Is It Sweet? : Tales of an African Superstar in New York (Third World Newsreel 2013) and the multi-channel video installation Black Star: The People's Game. Journal articles include publications in Public Culture, Cultural Anthropology, and Anthropological Quarterly. He also occasionally blogs for africasacountry.com. Kwadwo Ampofo aka DJ Black aka Toontoom started to DJ in 1993 in Ofori Panin HighSchool, He joined the elite DJ Crew,Prime Cut in 1995 alongside veteran DJS like Azigiza Jnr, DJ Magic Sam ,DJ Rab, DJ Kakra, DJ Kofi ,Da Woodeman, etc. DJ Black has partnered with artistes to promote talent and skill through the DJBlack cyphers,mixtapes and foundation. Mutichoice Ghana has picked DJBlack as an icon to push its promotions and events. In addition to various events and corporate functions, DJ Black has written award-­‐winning adverts and produced several voice –overs and Jingles for various events on the African continent. With such credits and credentials, DJ Black is the ideal and reliable brand name and partner for your brand to reach out to, when it comes to success and satisfaction to target consumers. If it’s a positive brand association ...DJ Black aka Mr. Toontoom, the crowd motivator is THE ONE!! Trybe Records also created a platform for new talent that would help achieve the goal of placing African Hip Hop/African Pop on the international map. Trybe Records boasts of developing successful award-winning artists such as Sasha, 2Shots, olaDele, and Dr Sid. eLDee came up with a collaboration of all the artists on the record label, named them “Da Trybe” and solidified Trybe Records as a force to be reckoned with in the Nigerian Music Industry with hits such as “Work it out” and “Oya” in 2002, and the album “BIG Picture” in 2005. Making a move to the United States in 2002, eLDee recorded a solo album titled “Long Time Coming” and followed up with “Return of the King” in 2006. “Return of the King” marked the beginning of eLDee’s solo career and was very well received earning him various nominations and awards for both videos and songs including the Nigerian Entertainment Award for “Best International Album” in 2007.
eLDee, though currently living between Nigeria and the United States is a household name both in Africa and in the African communities abroad. He has been featured on numerous international radio stations both in Europe, Asia and the USA. Back home in Nigeria, the hit-music playlist is incomplete without eLDee. His personal hits like “Im leaving”, “I go yarn”, “Champion”, “African Chiquito”, “big boy”, “Ota mi”, “One day”, “Bosi Gbangba”, “Ota mi”, “Higher” and “Wash-wash” have been aired on radio stations all over the world. eLDee has also been featured in countless local and international magazines and newspaper articles and remains one of the most RESPECTED artist/producer out of West Africa, on the international scene. For over a decade, eLDee has proved to be the most consistent artist/producer in West Africa writing and producing some of the biggest hit songs. His recent collaborations have also established eLDee as the go-to-guy for infectious music and has had all artists in the land (signed and unsigned) seeking his golden touch. Overall, eLDee has emerged as a multi talented professional. eLDee has worked with various artists of various nationalities, doing various styles, producing amazing music and creating great videos. eLDee has produced and directed numerous videos both for Nigerian and international artists and is able to bring anyone into his world of creativity in an effortless manner. eLDee’s resume not only brags about his work as an artist, producer and video director, but also as an interactive media genius. His business resume boasts of clients like CNN, D3 Publishing, Hines, Accenture, Andersen, Kimberly Clark, Naruto, Primedia, NBA, UPS, Cartoon Network, Consumer Source, Warner Bros, just to name a few of the fortune 500 companies he has had the opportunity to design and develop for with an Atlanta based firm. eLDee and his colleagues have received numerous national and international awards for design and new media campaigns. eLDee writes and produces most of his music, and owns all rights to his works through his reign of over a decade. His second solo album “Big Boy” was released early 2009 and was tagged an instant classic. The album includes monster hits such as “Bosi Gbangba” and “Big Boy”. The Big Boy album received 17 nominations in different categories of various award shows including best video, best album, best cinematography, hottest single, best album, best artist and 2009 MOBO award nomination for “Best African artist”. eLDee recently hosted The 2011 Headies awards where he also won an award for “Best conscious music” for his song “One day”. eLDee’s last album, “Is it your money Vol.1″ was released on March 6, 2010. The much-anticipated album was a trending topic on twitter for two days as the world awaited the release of the fresh body of work from one of Nigeria’s most exciting artists. The album boasts of hits like “Ota mi”, “U blow my mind”, “Feel good music” and “One day”. The forthcoming album “Undeniable” is set for release early 2012 and the singles “Wash Wash”, “Today Today” and “Higher” are currently topping the music charts. eLDee is very passionate about the current state of Africa and is one of the very few outspoken Nigerian celebrities when it comes to social issues. His passion is evident in his active involvement in a lot of activities geared toward social change. eLDee’s thirst for sustainability in Africa is also evident in his music as with each album, he hammers on real issues and seeks to motivate/inspire the people of the land towards greatness. eLDee hopes to inspire a new generation towards a more sustainable Africa through his musical works and social campaigns. eLDee was recently featured on CNN for some of his social campaigns.